Steakhouses in Singapore are aplenty, but there’s always room for one more. Welcome Wolfgang’s Steakhouse by Wolfgang Zweiner. 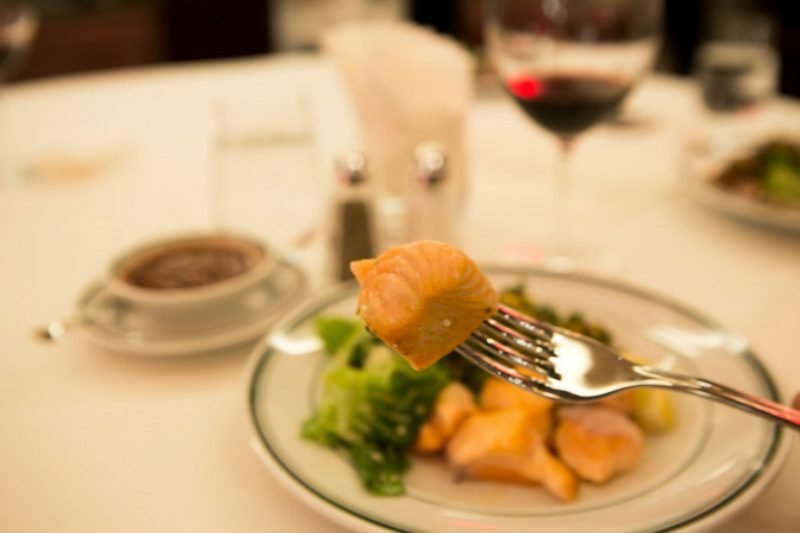 With no relation to the already-famous Chef Wolfgang Puck, this steakhouse is owned by Chef Wolfgang Zwiener, who opened the original brand in New York City. With current outposts in Beijing, Hong Kong, Tokyo and Seoul, its entry into Singapore sees to shake up the scene at Robertson Quay (together with the opening of Intercontinental Singapore Robertson Quay), as well as offer steak lovers a swanky new place to dine. So what is the steakhouse’s propriety talent? Chef Zwiener hand-selects all sides of beef, and chooses solely USDA Prime Grade Black Angus beef for its superior marbling, tenderness, flavour and texture. The beef is dry-aged on-site for 28 days, before being carved to order by the in-house butcher. 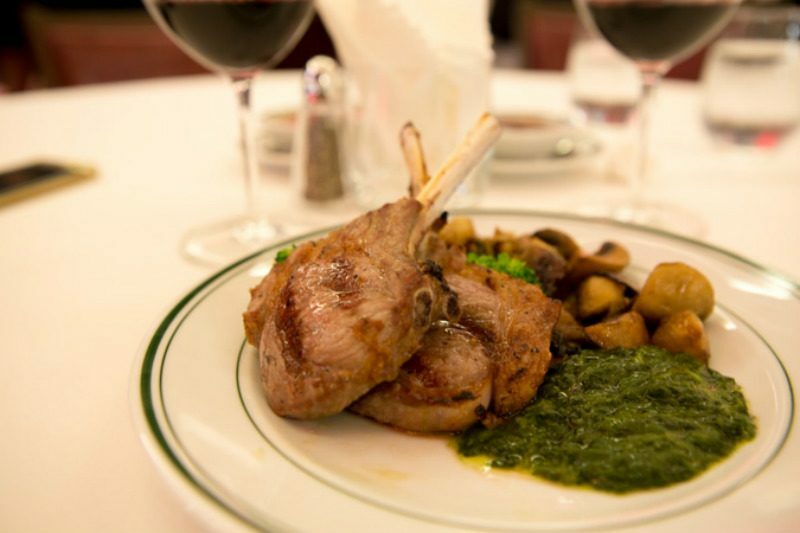 We were fortunate to get a taste of the Lamb Chops ($99), done medium. They were tender, juicy and lightly seasoned, allowing a hint of gaminess to come through. The slither of fat that lined the meat made all the difference in texture, making it a very easy bite to swallow. Even though meat is their game, they serve Grilled Salmon ($60) as well. 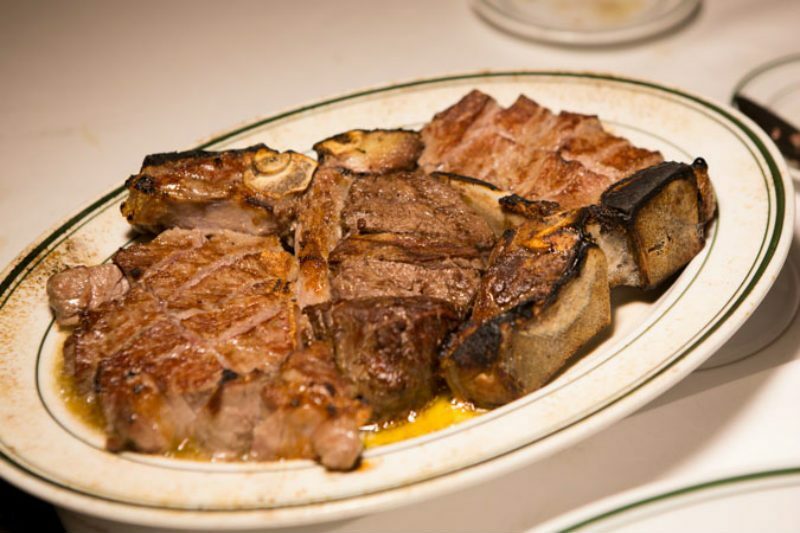 Although not the best version we’ve had, it was adequate enough to consider ordering should you feel like something lighter, in the event that you were that one guest who got invited to a steakhouse but is impartial to meat. The star of the evening was the USDA Prime Dry Aged Porterhouse Steak ($185 – $360, depending on serving size), which comes sizzling on a large plate, and looks like the dream of any carnivorous diner. This huge steak is meant for sharing. 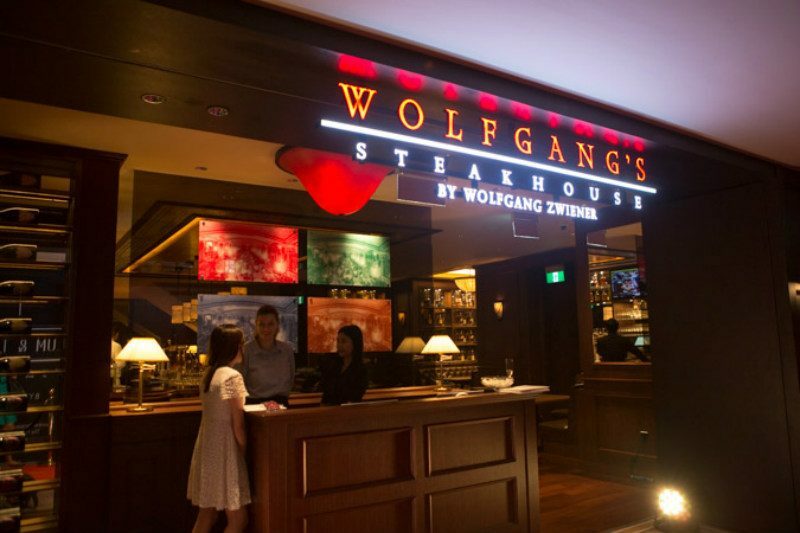 It’s easy to see why Wolfgang’s Steakhouse emphasises on their ageing process, as the meat glistens on sight and feels almost supple on bite. There is no need to see-saw your knife through each piece here, and let’s not forget to mention, the amazing marbling! Much is left to be desired for their sides, however, which we didn’t find particularly exciting. 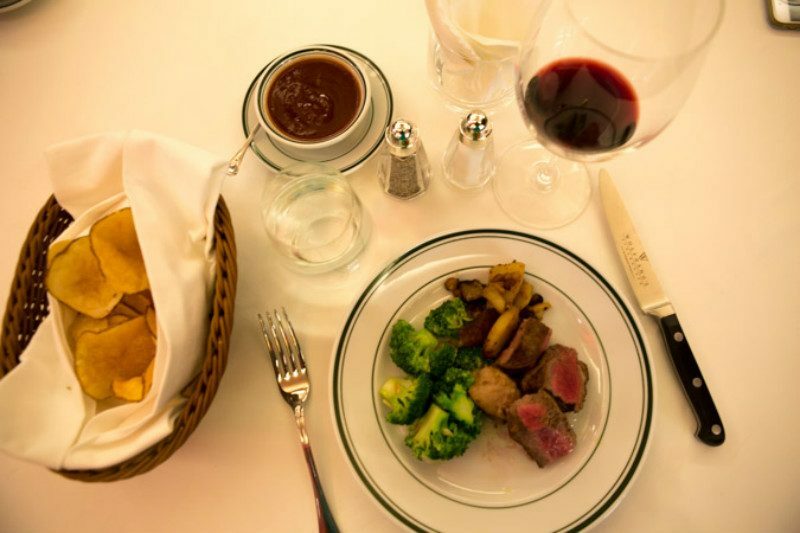 But when you’re at a steakhouse, are you really looking to eat more vegetables and carbs? Our impression of this new meat joint in town is that it does what it says well, and with plenty of conviction. 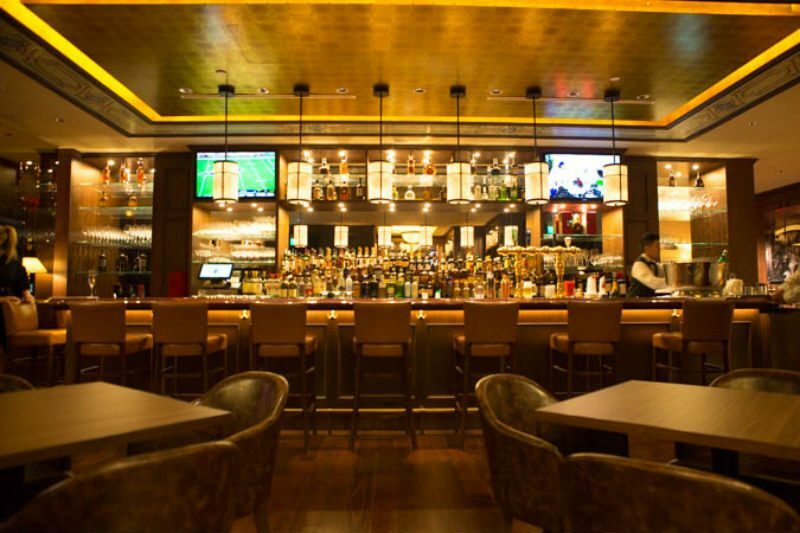 From the trendy, plush bar area to the amber-hued dining hall, Wolfgang’s Steakhouse is a place for camaraderie and gathering of like-minded beef buddies.